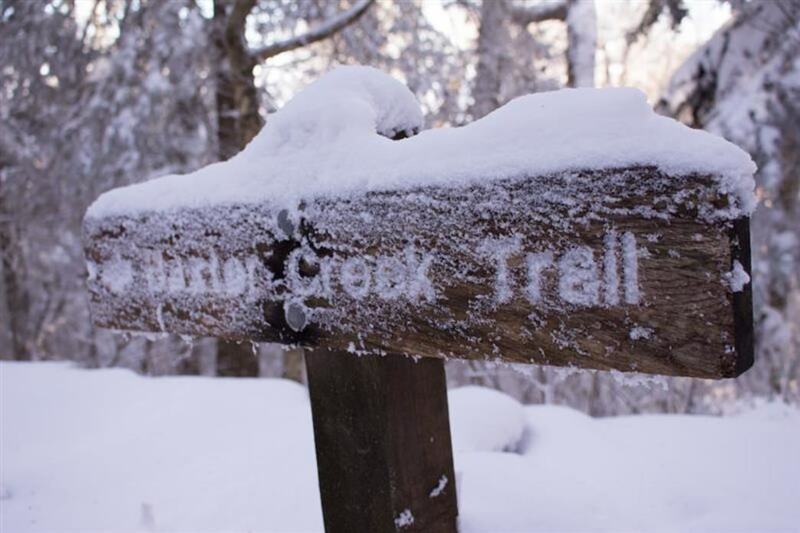 One of the toughest hikes in the Smokies, the Baxter Creek Trail leads hikers six miles up steep mountain grade through dense green forest. 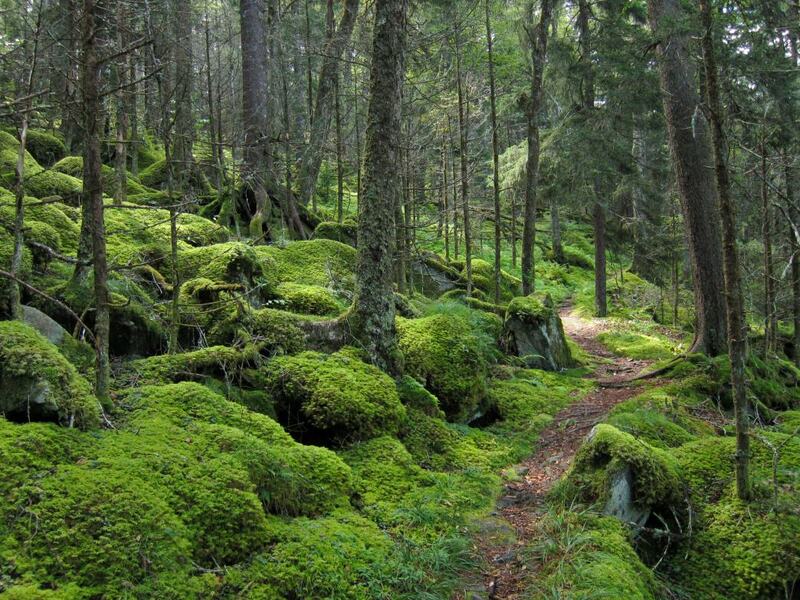 The Baxter Creek Trail is widely regarded as one of the most strenuous hikes in Great Smoky National Park. 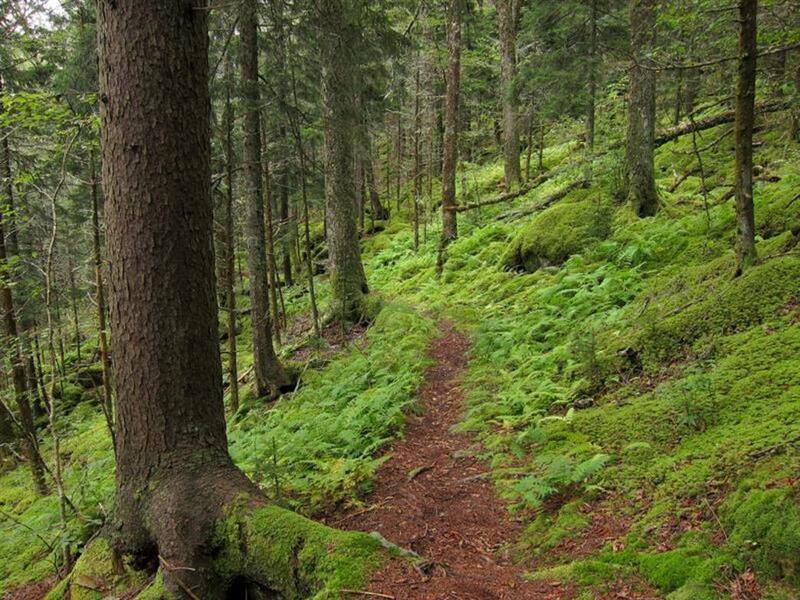 While the trail conditions are normally pretty good, (as are most of the trails in the Smokies), the elevation and the mileage can certainly leave unprepared hikers feeling a little in over their heads. 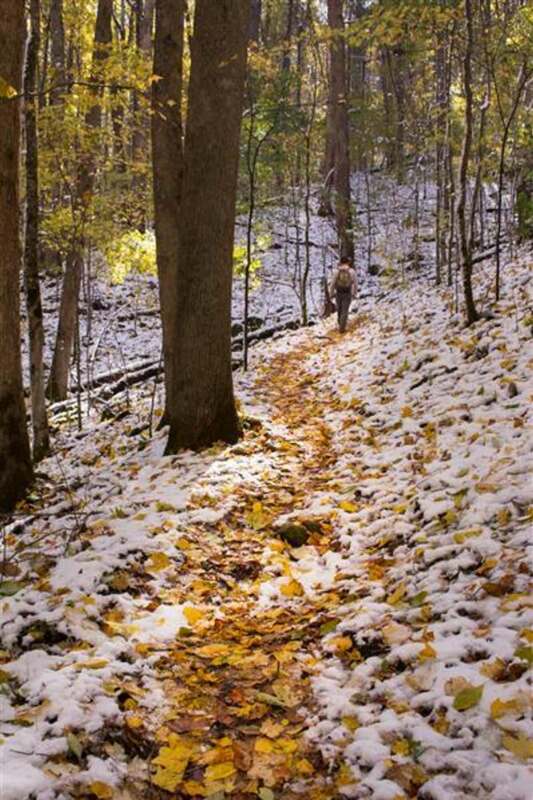 For 6 miles one-way, Baxter Creek Trail essentially travels straight up Mt. Sterling, gaining about 4,000 feet in the process. While it's certainly challenging, the grade is not steep enough to prevent you from reaching the summit. The challenge comes from the steady and seemingly never-ending upward slope continuing on for mile after mile. 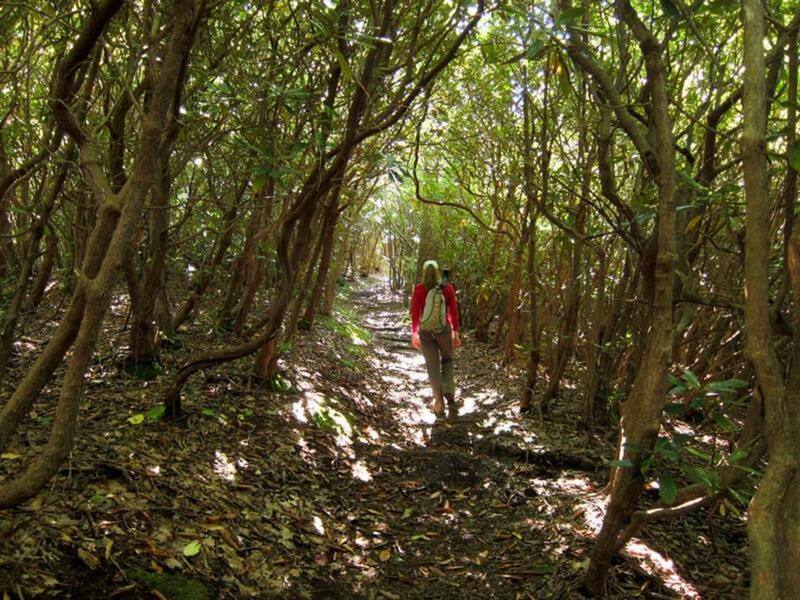 As it goes up, hikers pass through some very enticing forest biomes, at first consisting of rhododendron and laurel, and eventually moving into the balsam and spruce trees that make the Smokies such a magical place. Within these sweetly smelling trees is an understory so green, mossy, and lush, that you'll feel like you're in a completely different world. And if this stunning rainforest doesn't feel like enough reward for your physical efforts, then the view from Mt. Sterling certainly will. At 5,842 feet, this mountain's fire tower at its peak has the highest elevation out of any fire tower in the eastern United States. As such, the view from this old structure (built in 1935), is simply stunning. You can see vast views of the mountains straddling the Tennessee/ North Carolina border. After taking in the view and maybe enjoying some lunch, return to your car at the Baxter Creek Trailhead, by simply retracing your steps. Even though there is a physical challenge, people of all fitness levels trudge along this trail. The Baxter Creek Trail gives a unique view of a lesser known segment of the Great Smoky Mountain National Park, tucked away from the tourist traffic of the main park areas. If you are looking for a day in the mountains but away from the crowds, this may be the trail for you. For Knoxvillians, simply take I-40 towards Asheville and take exit 451, continuing past the national park entrance sign to the parking lot at the end of the one-lane gravel road. The trailhead can be found below this parking lot with a bridge crossing Big Creek. Once you cross the creek prepare for elevation gain, and don’t forget your camera!Like all hikes in the Smokies, dogs are prohibited and any camping must be done with a backcountry permit obtained ahead of time.